Fieve Clinical Research, Inc. is always accepting resumes for part-time Principal and Sub Investigators (w/ Internal Medicine Specialty), Lab Technicians, as well as internship candidates, and Clinical Research Coordinators. The CRC internship is appropriate for candidates with one year or less of experience. Please find position summaries as well as job duties and responsibilities below. Interested candidates should send their resume and cover letter to resumes@fieveclinical.com. The person in this position is part of the team concept at Fieve Clinical Research, which specializes in conducting clinical trials. Perform procedures as instructed in the study protocol. Assist research staff in performing their duties and carrying on the necessary functions required in accordance with established policies and procedures. Follow clinical research GCP/ICH guidelines and FDA regulations as they relate to human subject research. Performs all job responsibilities in accordance with standards of Good Clinical Practice. Delegates study responsibilities as appropriate to trained study staff. Has a working knowledge of GCP/ICH guidelines, Clinic SOPs, QA/QC procedures and Investigator 1572 Form. Reviews all protocols prior to acceptance at the site for feasibility. Reviews Investigator’s Brochure prior to performing any study related activities. Ensures informed consent and all Sponsor approvals have been obtained prior to performing any study procedures. Performs all study responsibilities (or delegates as necessary) in compliance with the IRB approved protocol. Reviews and evaluates all study data and comments to the clinical significance of any out of range results. Performs physical examinations as part of screening evaluation and active study conduct. Documents findings in study source documents. Reviews screening documentation and approves subjects for admission to study. Reviews admission documentation and approves subject for randomization. Provides ongoing assessment of the study subject/patient to identify Adverse Events. Ensures proper documentation and reporting of all Adverse Events and Serious Adverse Events. Assigns causality of adverse events. Provides medical management of adverse events as appropriate. Reviews all safety reports from Sponsors. Assumes responsibility for providing after-hours on-call coverage. Complete all study documentation in accordance with the study specific requirements. Medical Degree, with current Medical Licensure in State of New York required. Specialty in Internal Medicine preferred. The person in this position is part of the team concept at Fieve Clinical Research, which specializes in conducting clinical trials. Perform clinical laboratory procedures as instructed in the study protocol and study specific laboratory manual. Assist research staff in performing their duties and carrying on the necessary functions required in accordance with established policies and procedures. 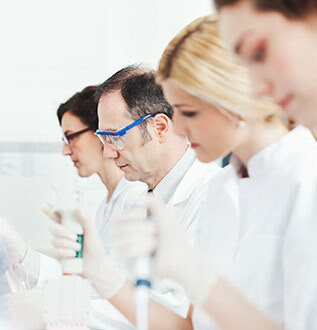 Follow clinical research GCP/ICH guidelines and FDA regulations as they relate to human subject research. Take and record height, weight, blood pressure, pulse rate, respiration, and temperature, described in the study protocol and study specific laboratory manual or as instructed by physician. Completely fill out lab requisitions and other forms described in the study protocol and study specific laboratory manual. Obtain laboratory samples and complete corresponding documentation as described in the study protocol and study specific laboratory manual. Perform EKG as described in the study protocol and study specific laboratory manual. Package and ship laboratory samples per study procedures described in the study protocol and study specific laboratory manual. Follow universal precautions to protect self and patients. Assist the clinical staff in completing examination and procedures as instructed. Recruits, instructs, and coordinates research subjects, as appropriate to specific study protocol inclusion/exclusion criteria. To perform miscellaneous job-related duties as assigned. Must have successfully completed and graduated from a medical assistant program. Coordinates and administers research study associated activities. Assists in project planning, and ensures that pre-established work scope, study protocol, and regulatory requirements are followed. Recruits and coordinates research subjects, as appropriate, and serves as principle administrative liaison for the project. Oversees and coordinates the provision of administrative and staff services; develops and maintains Electronic Data Capture (EDC) systems or Case Report Form (CRF) and procedures. Plans and coordinates the initiation of research study protocol, and the establishment of FCR operating policies and procedures. Plans, implements, and maintains data collection systems (either electronically or paper format) in support of research protocol; may coordinate the collection of research data (i.e. creation/review of source documentation). Ensures the smooth and efficient day-to-day operation of research and data collection activities; acts as the primary administrative point of contact for internal research staff and as the principle operational liaison for the Pharmaceutical/CRO/ research sponsor, and regulating bodies (i.e. designated IRBs). Coordinates the day-to-day activities of the research staff (i.e. interns, Principal/Sub- Investigators) specifically engaged in the carrying out of research/clinical protocol, as appropriate to the position; may perform aspects of research protocol, as required, in accordance with specified study protocol and FCR Standard Operating Procedures. Plans and coordinates the staffing of research studies, to include the recruitment and administration of research support staff, as appropriate to the activity. Supervises and coordinates the provision of support services to investigators and researchers. To implement quality control process throughout the conduct of the trial. To participate in clinical study activities on an ongoing basis with research staff to ensure adequate clinical support for trial activities. Monitors the progress of research activities; develops and maintains records of research activities, and prepares periodic and ad hoc reports, as required by investigators, FCR management, and/or regulatory bodies. Copyright © 2019 by Fieve Clinical Research, Inc.